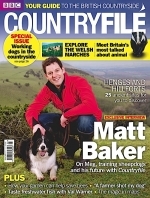 Mark Reid has written a 2-page feature for BBC Countryfile magazine (pages 92 - 93, March 2011) about HOW TO USE A COMPASS. Team Walking offer two-day walking courses in the Yorkshire Dales allowing participants to learn the basic map and navigation skills along with hill safety and access, whilst gaining either bronze or silver National Navigation Award Scheme (NNAS) levels. After completion you will be able to plan and follow your own walks in the countryside.